The post Safe Release Of Remaining Chibok Girls Is My Priority, Buhari Tells Swiss President appeared first on Channels Television. 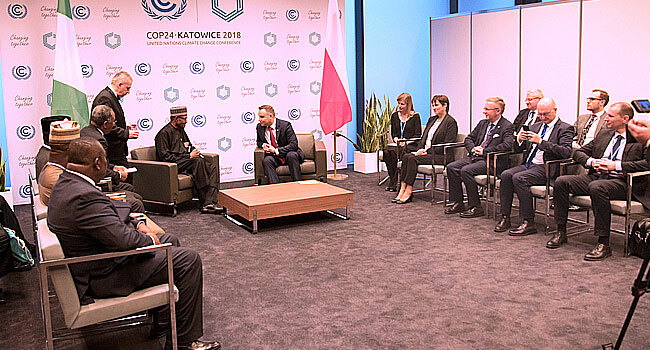 President Muhammadu Buhari meets with Polish President Andrzej Duda during a bilateral meeting with the Polish leader and delegation at the sideline of the 24th Session of the Conference on Climate Change in Katowice, Poland. PHOTO: SUNDAY AGHAEZE/State House. According to a statement signed by the Senior Special Assistant to the President on Media and Publicity, Garba Shehu, the President said this on Monday in Katowice, Poland, during a bilateral meeting with Swiss President, Alain Berset, on the margins of the UN Climate Change Conference, COP24. Shehu in the statement added that President Buhari had spent the whole day at the International Conference Centre, Katowice, where he delivered his national address at the opening of the 12-day meeting of COP24. President of Poland, Andrzej Duda with his delegation Meets President Muhammadu Buhari and his delegation among who are Minister of Foreign Affairs, Geoffrey Onyeama; Niger State Governor, Abubakar Bello; Kogi State Governor, Alhaji Yahaya Bello and Enugu State Governor, Ifeanyi Ugwuanyi during a bilateral meeting at the sidelines of the 24th Session of the conference of the parties under UN Framework convention of Climates Change COP24-Katowice, Poland. PHOTO: SUNDAY AGHAEZE/State House. He also met with several world leaders and visited the Nigerian pavilion at the climate summit. 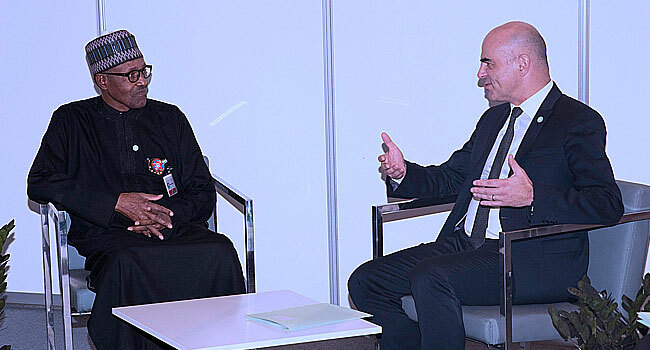 During his meeting with the Swiss President, the Buhari thanked the Swiss Confederation for its efforts and role as intermediaries to secure the release of some Chibok girls and assured him that the issue of the remaining kidnapped girls and other abducted persons will remain a ”key priority” for the Nigerian government. President Buhari and his Swiss counterpart also discussed joint strategies to ensure the safe return of the girls, building on the past successes of securing the release of some of the Chibok girls and other abducted persons in the North Eastern part of Nigeria.